When I was a child, my dad said that cartoons were only for children. Clearly he wasn't familiar with the host of animated television shows for adults, which is a shame because there are some really good ones. Bob's Burgers tops my list because its nutty family members make me laugh every time I watch it, and it's relatively clean when compared to shows like South Park and Family Guy. What do you think is the best animated show for adults? In the 1930-60s, cartoons were not generally made for children; their main intended audience was for adults, as is the case with The Looney Tunes, Tom and Jerry, etc. My favourite is the The Flintstones, which was based on the live action tv show, The Honeymooners. It is comedic and completely inoffensive. I didn't know that! Thanks for sharing. Do you mean episodes or characters? My favourite character is Fred, but my favourite episode is season one's 'The Split Personality', when Fred accidentally hits himself over the head with a bottle and starts act posh, and calling Barney, Bernard. My favourite is when Fred runs out of soda, as Barney drank the last one.Fred go's over to Barney, and thinks he has his soda.It's Car Polish! but Fred drinks it. Barney ask's Fred 'why' did you drink my car polish. Fred gets upset, say's to Barney ''do something''....The next line made me laugh pretty hard. That's 'The Split Personality', same as mine! 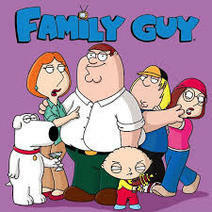 I'm a big fan of Family Guy. I know they go overboard trying to shock people more often than not, but when they are not trying to shock or offend, there is some really good comedy in there. I can't believe they killed off Brian. What do you think of that? I will say my absolute favourite is the Flintstones, but that is more for kids really...Truth be told I still love it. I agree, Stewie is my favourite character on 'Family Guy', though I don't particularly like the show. Although it is enjoyed by kids, The Flintstones was actually created for an adult audience. It doesn't need foul language or sexual innuendo to make it an adult's tv show. I can't go past the Bugs Bunny and Looney Tunes cartoons. They are still funny after 60 plus years. The Flintstones is a classic and the Jetsons were good too. Love the Simpsons adults episodes (well, actually, any episode as even the PG ones are pretty adult to me), but Simpsons aside, Futurama is pretty good with all it's space travel and fighting off scary aliens and Lola's creepy men! While I am not personally a fan, I would have to say Archer is one of the best written and funniest animated shows aimed at adults. I never got into 'South Park', but I did really like 'Daria'. Always and forever.. Tom & Jerry!! I've never been a fan, but I do remember a heck of a lot of kids liking it back at high school. Thought the Simpsons brilliat. My fave animated was Japanese 'Spirited Away"
Not a series, but I thought it was magical. Who is your favourite 'Everybody Loves Raymond' character?